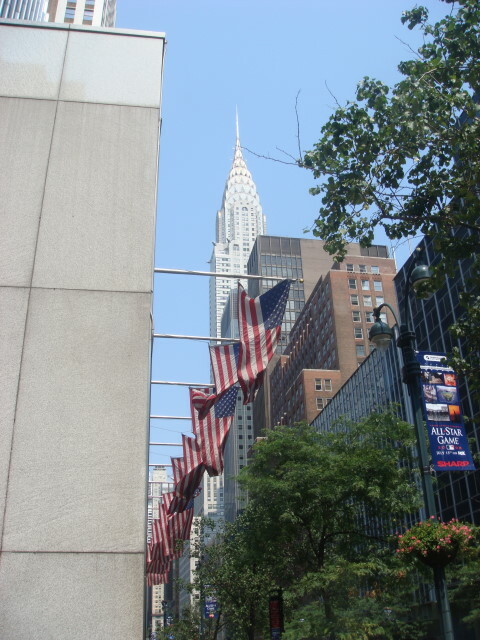 Okay, I admit it: there’s lots of pictures of the Chrysler Building. Even on this blog. There’s really nothing new about this picture. Not even the framing with the American flags. But I do love looking at that building. No excuses necessary. Ain’t it grand? This entry was posted on July 18, 2008 at 6:41 pm and is filed under Manhattan, Mid-town, Wanderings. You can subscribe via RSS 2.0 feed to this post's comments. You can comment below, or link to this permanent URL from your own site.